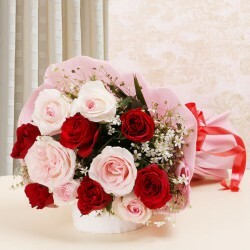 Mark the beautiful celebration of Eid by exchanging greeting with heartfelt gifts for Eid online. 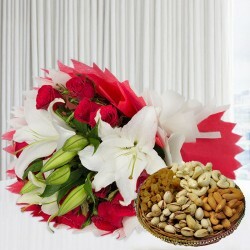 With MyFlowerTree, buy and send Eid gifts to anywhere in India and curb the distance with your sweet token of love. Eid-al-Fitr, celebrated after the end of the Ramadan month, is a social tradition that is marked to give spiritual direction to the individuals. While Ramadan continues for the entire month, Eid signifies the end of the period and is celebrated by meeting and greeting people.People come together and celebrate the spirit of the festival by greeting each other with ‘mubarakbad’ and exchanging Eid gifts and sweets to share the joys. On this Eid 2019, make sure you share the delight of the festival with exclusive gifts for Eid and bring smile on your dear ones’ faces. opt for Eid gifts online and save yourself from the hassle of running to the stores with limited time in your hand. 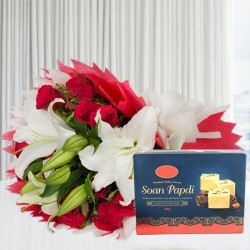 Send Eid gifts online and celebrate quality time with your near and dear ones. 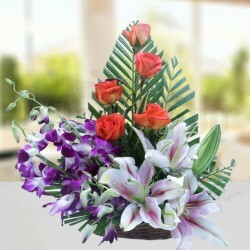 If you are looking for best gifts for Eid online, MyFlowerTree assures you the most quality Eid gifts online that are not only exclusive but also thoughtful. 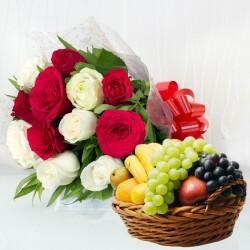 With the vast assortment of online gifts for Eid to choose from, be all set to make your greeting a memorable one. 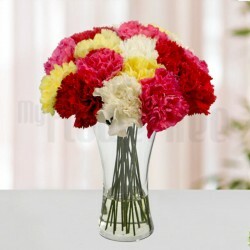 MyFlowerTree, in its collection, includes flower bouquets of roses, lilies, gerberas etc to bring cheer to the auspicious day. We also have special and fresh Eid sweets and dry fruit hampers to add warmth to your celebration. Not just this, you can also send personalized gifts for Eid online like chocolate bouquets, greeting cards, jewellery, perfumes etc. 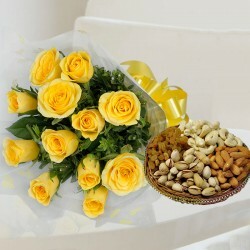 Whether you are living near or away from your dear ones, you can always send Eid gifts online from MyFlowerTree that guarantees you on-time delivery at your doorstep. No matter in which part of the country your loved ones reside, all you have to do is choose the gift and proceed to checkout and we take the hassle of sending your Eid gifts online at your chosen time slot. Even if you seek today delivery of your gifts for Eid, trust on MyFlowerTree to have you covered with same day delivery of Eid gifts online. 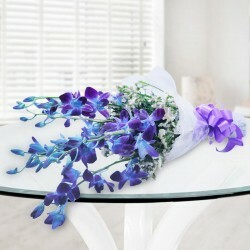 Therefore, this year, send Eid gifts online from MyFlowerTree and delight your near and dear ones with your thoughtful token of love. 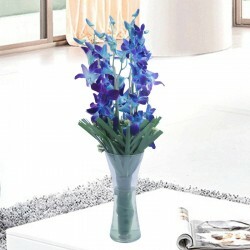 Products in this category have been rated 4.6 out of 5 based on 108 reviews.